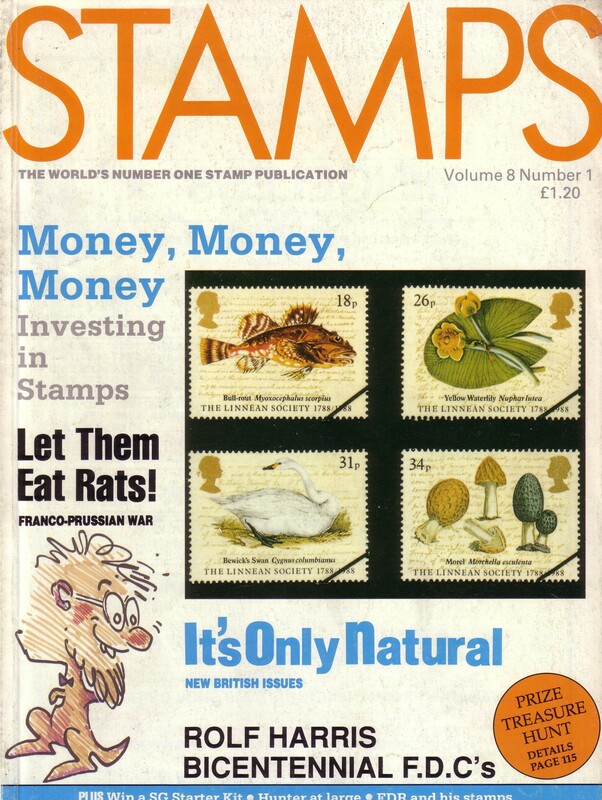 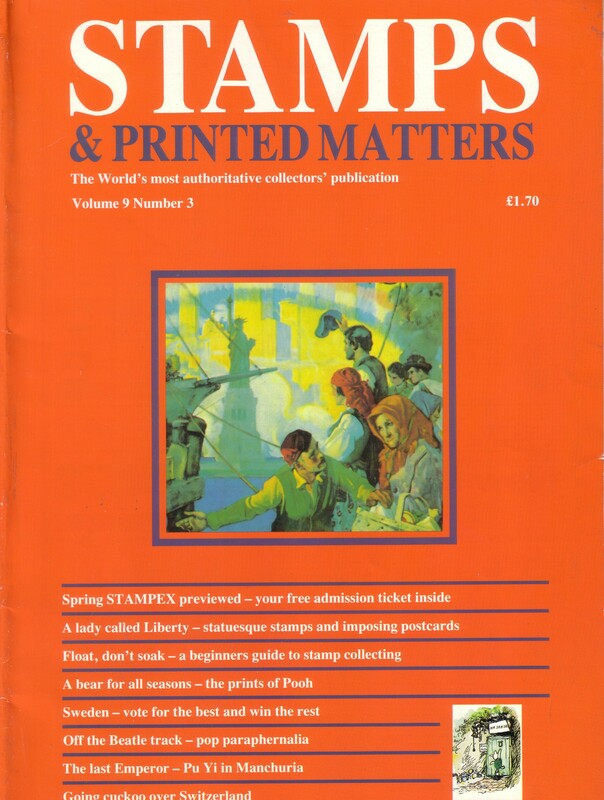 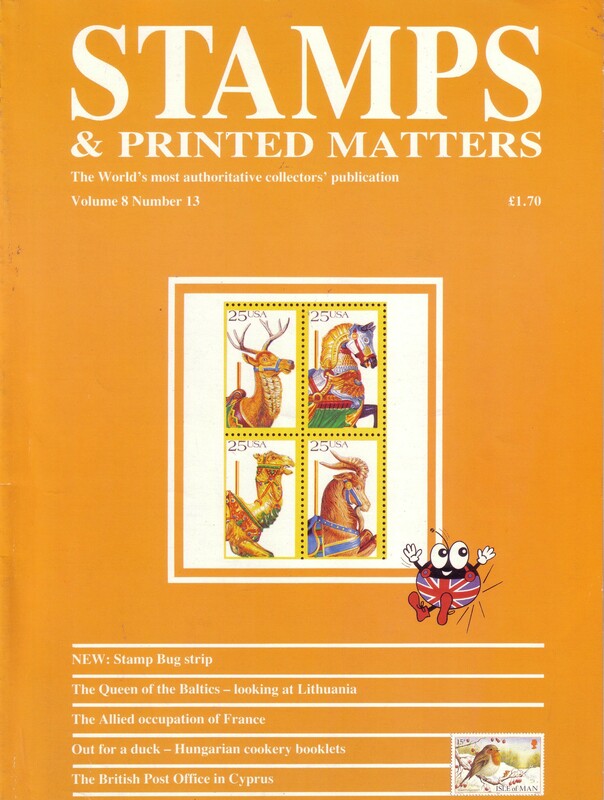 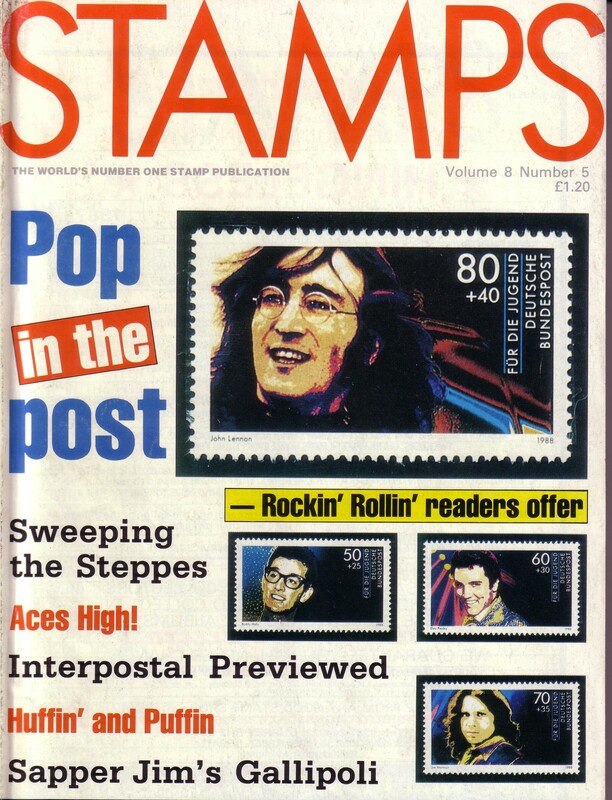 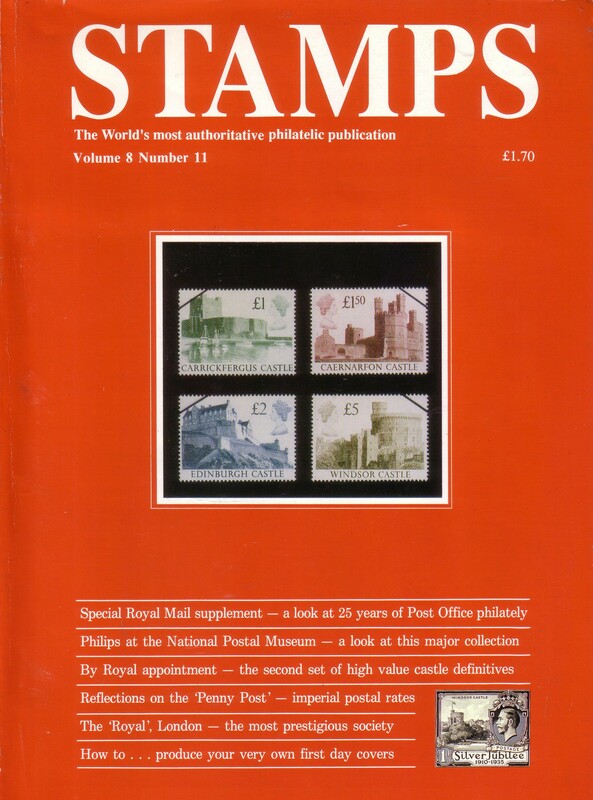 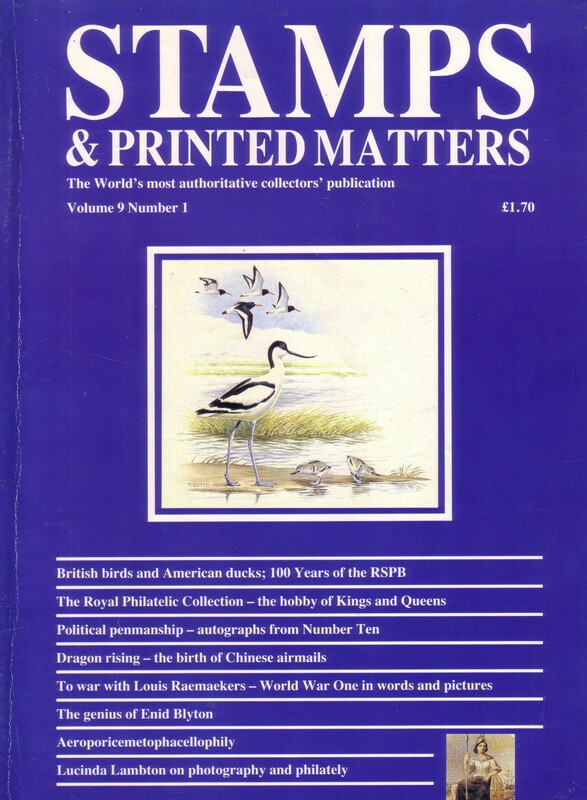 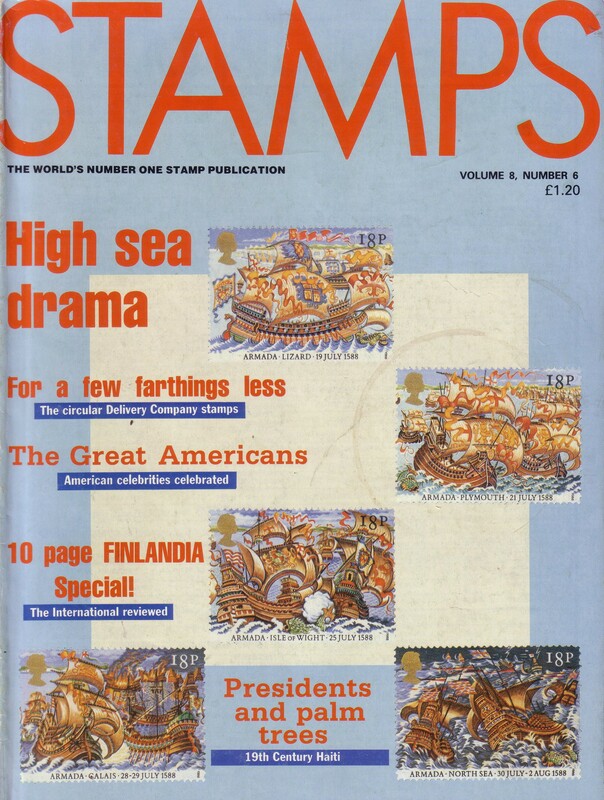 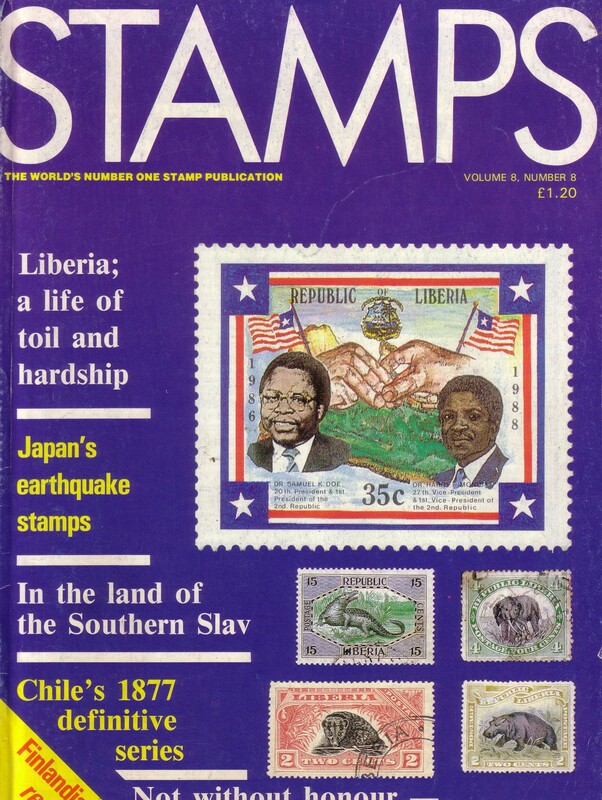 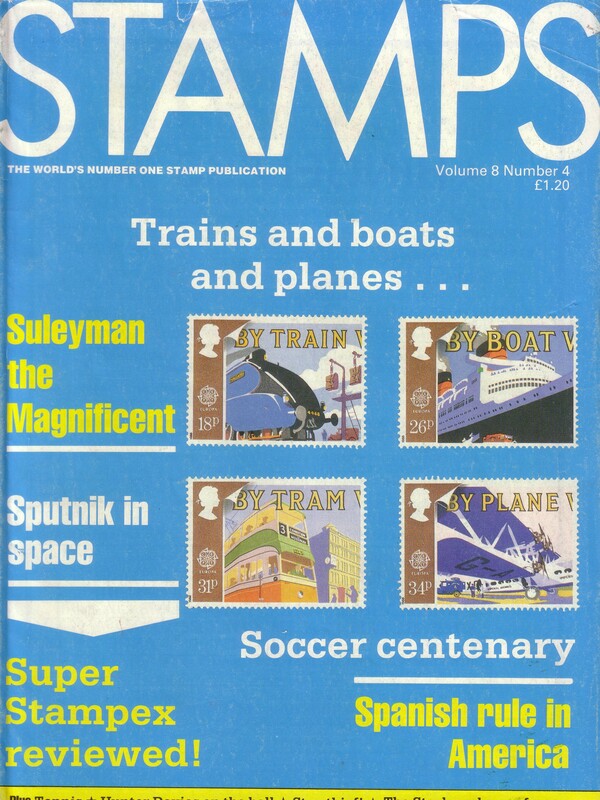 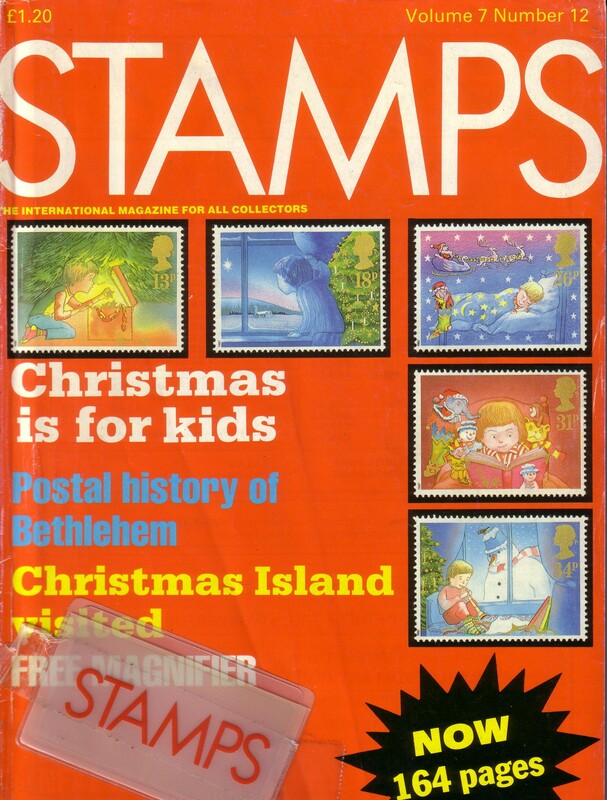 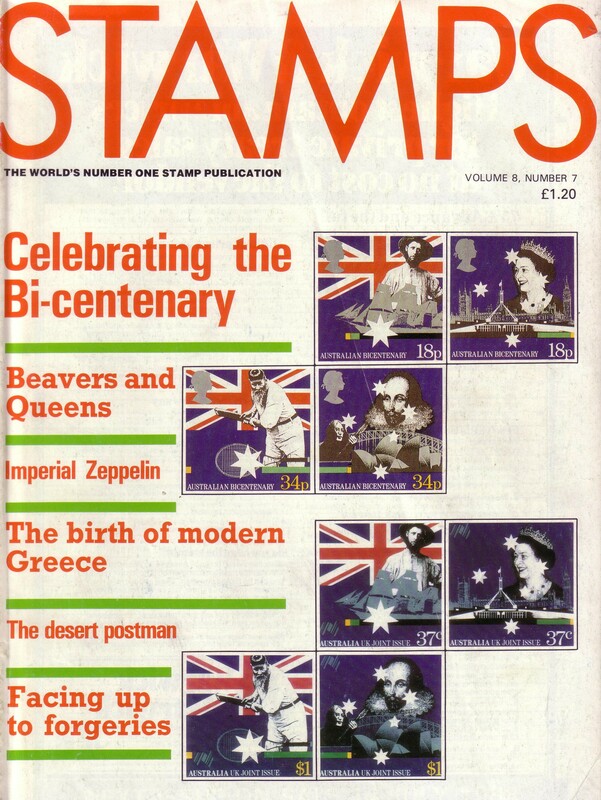 In October 1987, after six months of regular freelance contributions to the magazine, I joined the full-time staff of Stamps as assistant editor (and, later, editor). 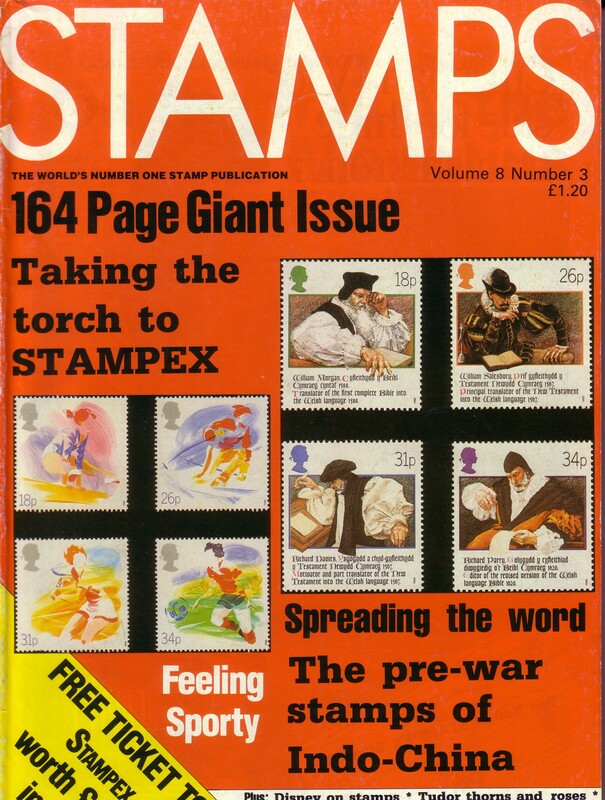 I remained on board for eighteen months, until the magazine’s then-owner sold it to another publisher located at the other end of the country. 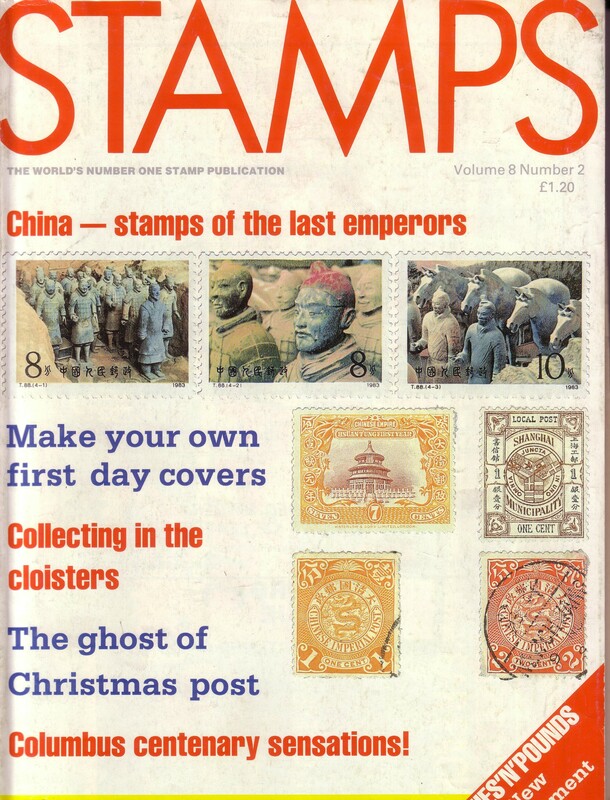 They oversaw its final few issues before closing it, I believe, before the year was out. 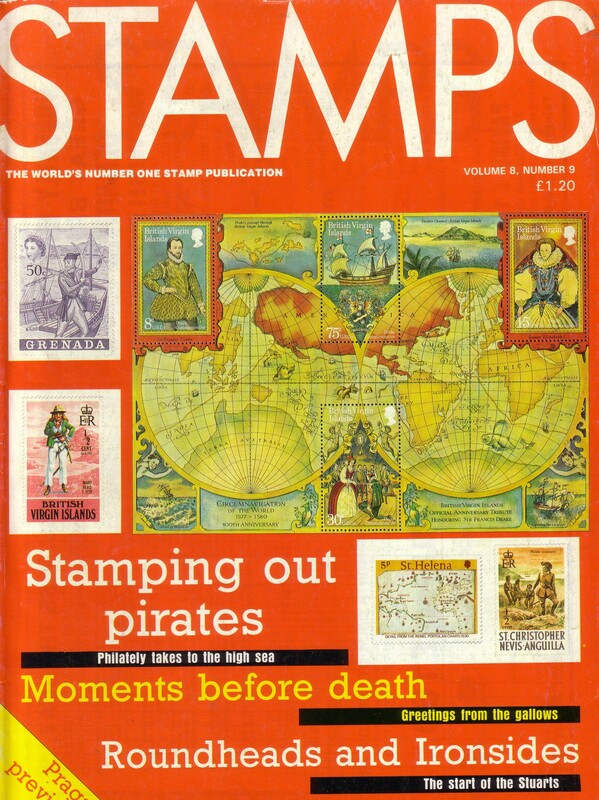 At its peak, Stamps was unbeatable. 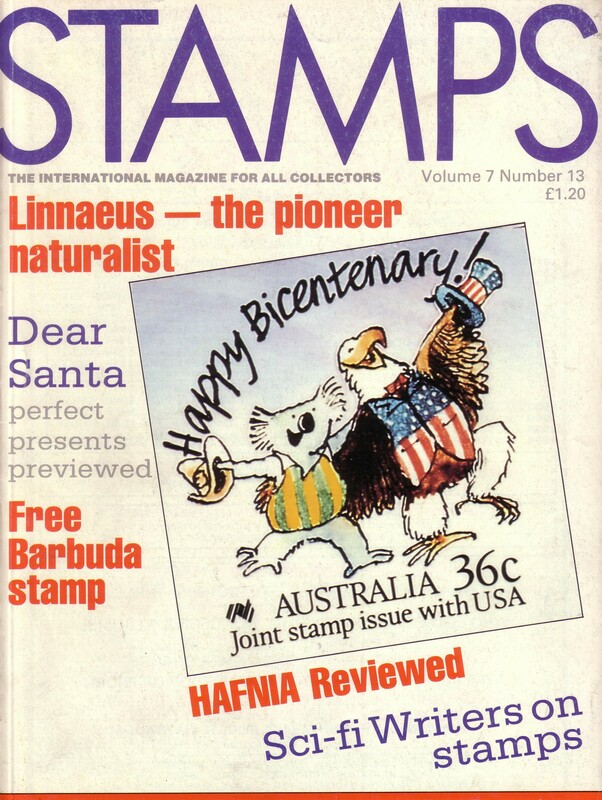 The legendary Hunter Davies was our star turn author, but other regular contributors included Colin Insole, Ken Lake, Edgar Lewy, Jo-Ann Greene and Alan Daniels, all of whom were magnificently marshalled by Mile Budimir’s editorial baton. 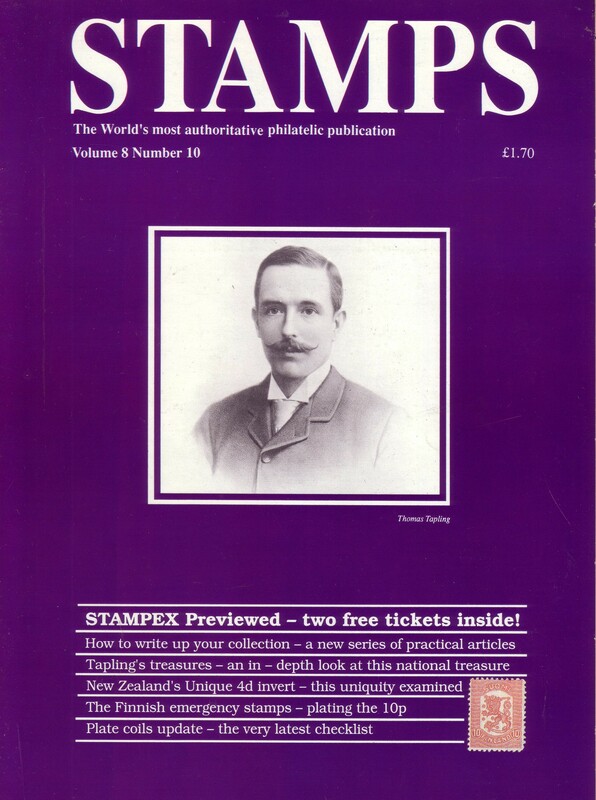 Later, following his departure (and my promotion – more work, same wage), future erotica author Zak Kear was hired as assistant editor, and became the single most colorful character in the entire philatelic universe. 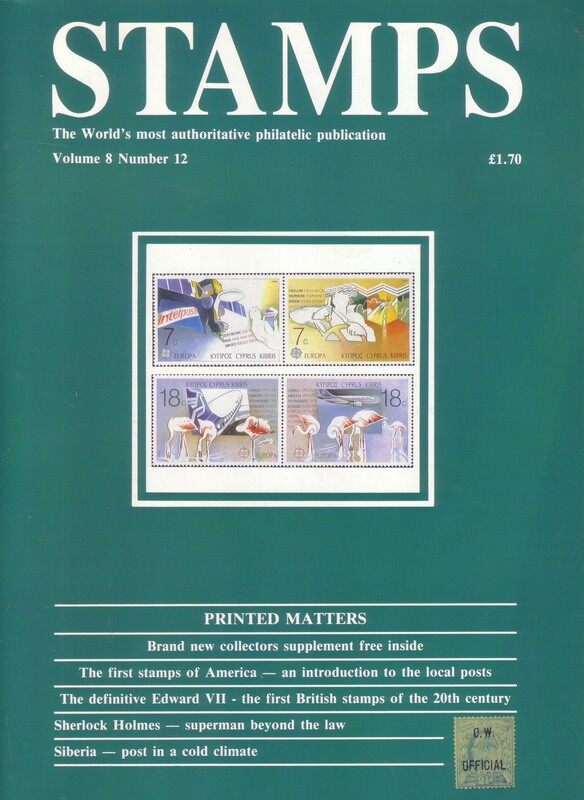 The following gallery illustrates the magazine’s front covers throughout my tenure – none of which would have been possible without the talents of the greatest designer I have ever worked with, Elizabeth Sidders. 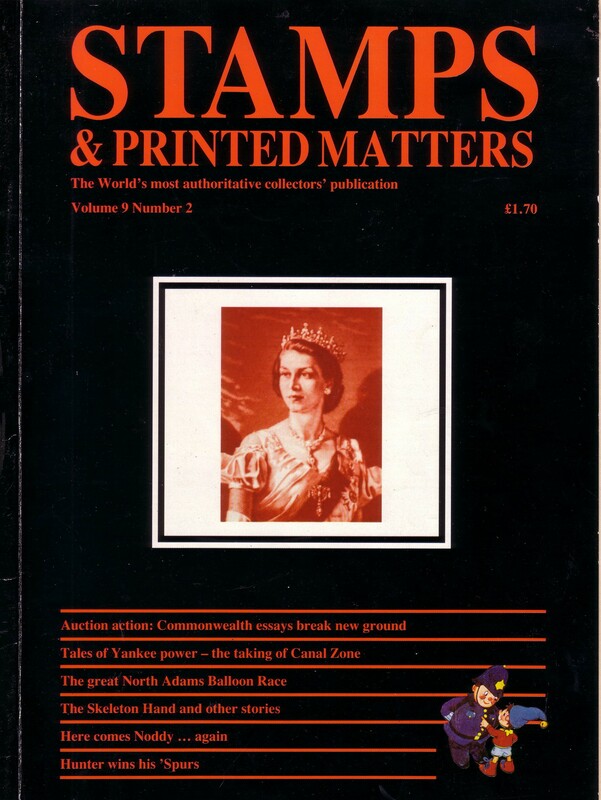 Whatever you’re doing today, Liz… thank you.